There are several foreign companies operating online and maintaining catalogues subject to a charge. Among others, Expo-Guide, International Fairs Dictionary, Fairs & Businesses, Fair Guide and Fair Expo mail or email misleading contracts to the customers of trade fair companies. The company data has invariably been collected from the public information available on our website. The letter or form is presented as a request for information that the company is asked to check and update for a catalogue. The message is easily understood so that updating the information would cost nothing. However, the small print in the contract terms states that this is a service subject to a charge. 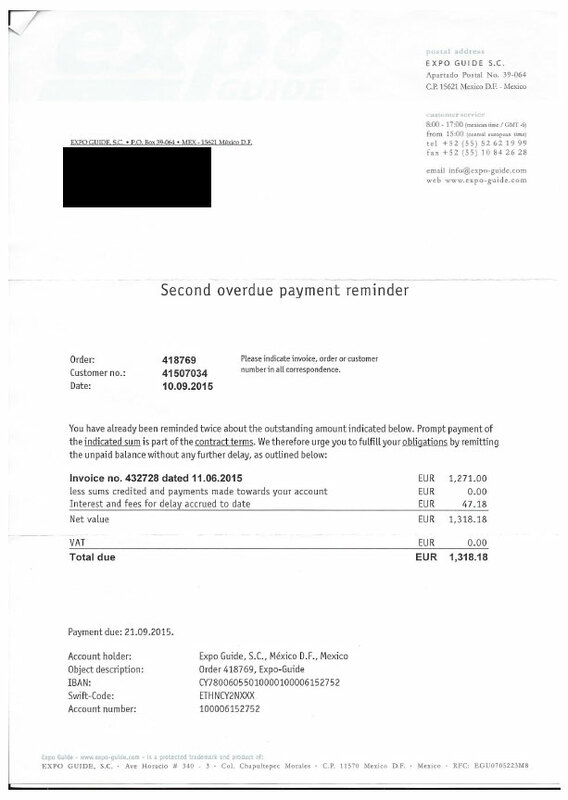 A fraudulent letter is usually written in English and presented as a request for information or a payment reminder. Fraudulent letters imply that the sender cooperates with Tampere Trade Fairs or some specific trade fair event. Usually, the trade fair organiser’s or the event’s information has been pre-filled on the form. However, there is no cooperation whatsoever between Tampere Trade Fairs and these catalogue fraudsters. The catalogue information related to the events we organise is published by Finnish media partners only, and their information can be found from our extranet service and the event website. 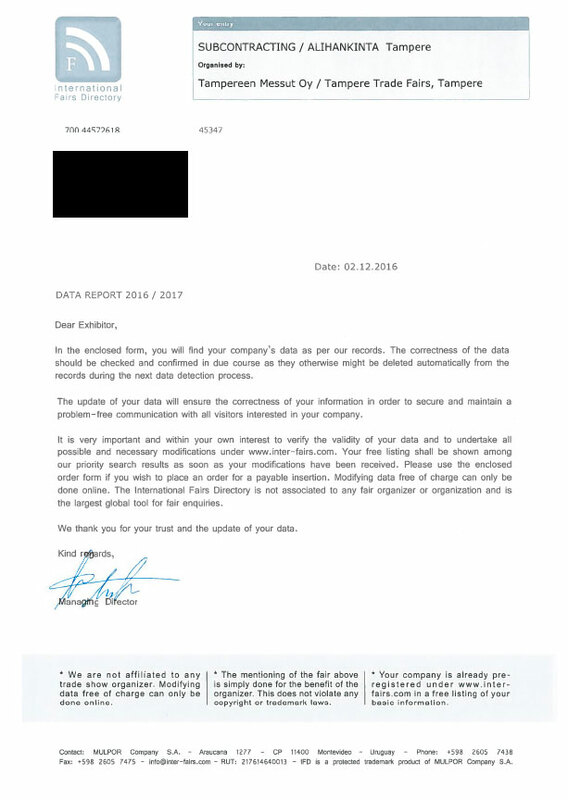 Consequently, if our website includes no information on the catalogue company that contacted you, it might be a fraudulent letter. If your company receives a letter similar to what has been described above, or if the letter has been sent by, for example, Expo-Guide, Fair Guide, International Fairs Dictionary or Fair Expo, we advice you to discard the letter. Tampere Trade Fairs does not disclose any customer registers to third parties. If such a register is offered, it is without exception a fraud. If you are not sure whether your letter is fraudulent, you can contact our customer service. You should also inform us if you have received such a letter.